You may not remember the name or even the face, but Sterling Holloway was a major character actor who gained his widest fame as the voice of Winnie The Pooh. Born in Cedartown, Georgia on January 4, 1905, Holloway was named for his father, who himself had been named after Confederate General Sterling "Pap" Price. Sterling Holloway Sr. owned a grocery store in Cedartown and served as mayor in 1912. Holloway Jr. graduated from the Georgia Military Academy, where he appeared in school plays. He then studied at the American Academy of Dramatic Arts in New York City. Holloway appeared in the Richard Rodgers and Lorenz Hart's review Garrick Gaieties in the early 1920s. A talented singer, he introduced "Manhattan" in 1925, and the following year sang "Mountain Greenery". He moved to Hollywood in 1926 to begin a film career that lasted almost 50 years. His bushy red hair and high pitched voice meant that he almost always appeared in comedies. His first film was The Battling Kangaroo, a silent picture. Over the following decades, Holloway would appear with Fred MacMurray, Barbara Stanwyck, Lon Chaney Jr, Clark Gable, Joan Crawford, Bing Crosby, and David Carradine. Holloway's work in animated films began in 1941, when he was heard in Dumbo, as the voice of "Mr. Stork." Walt Disney had considered Holloway for the voice of Sleepy in Snow White and the Seven Dwarfs, but Pinto Colvig was chosen instead. Holloway was the voice of the adult "Flower" in Bambi, the narrator of the Antarctic penguin sequence in The Three Caballeros and the narrator in the Peter and the Wolf sequence of Make Mine Music. He voiced Kaa in The Jungle Book, was the narrator in Goliath II, and voiced The Cheshire Cat in Alice in Wonderland and Roquefort in The Aristocats. His Disney Winnie-the-Pooh featurettes are well known. He was honored as a "Disney legend" in 1991. His last narration were numerous episodes in Dink, the Little Dinosaur. His last film credit was for Thunder and Lightning. Holloway played the role of Hobe Carpenter, a friendly moonshiner who gets help from Harley Thomas (David Carradine). In 1942, during World War II, Holloway enlisted in the United States Army at the age of 37 and was assigned to the Special Services. He helped develop a show called "Hey Rookie", which ran for nine months and raised $350,000 for the Army Relief Fund. In 1945, Holloway played the role of a medic assigned to an infantry platoon in the critically acclaimed film A Walk in the Sun. During 1946 and 1947, he played the comic sidekick in five Gene Autry Westerns. Holloway kept his personal life private. He never married, and once explained that this was because he didn't feel lacking in anything and didn't wish to disturb his pattern of life. However, he did adopt a son, Richard (it is unknown exactly when Richard was adopted), and he continued to voice Sugar Bear before his death. Sterling Holloway died on November 22, 1992 at the age of 87 of a heart attack in a Los Angeles hospital. At his own request, his remains were cremated and his ashes were scattered over the Pacific Ocean. Thanks for the bio. I have great childhood memories listening to 78 rpm children's records provided by my mother, with Mr. Holloway's wonderful voice. He made the characters come alive. 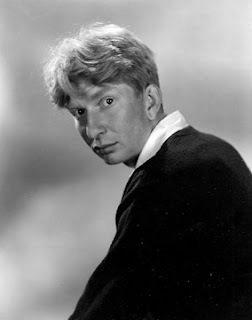 Sterling Holloway is an American great. I most remember Sterling Holloway from an episode of "Superman" where his character was that of the wacky professor who sends Clark Kent (Superman), Perry White, Lois Lane, Jimmy Olsen, himself and a gangster who was surrendering himself back in time to that of the caveman. I really loved this actor. I miss him. When i watch winnie the pooh and hear his voice. It is so calming.